“It’s like the Super Bowl of dog shows and he took it," said Gail Miller Bisher. The competition at the prestigious 140th Westminster Kennel Club Dog Show came to an end with C.J. 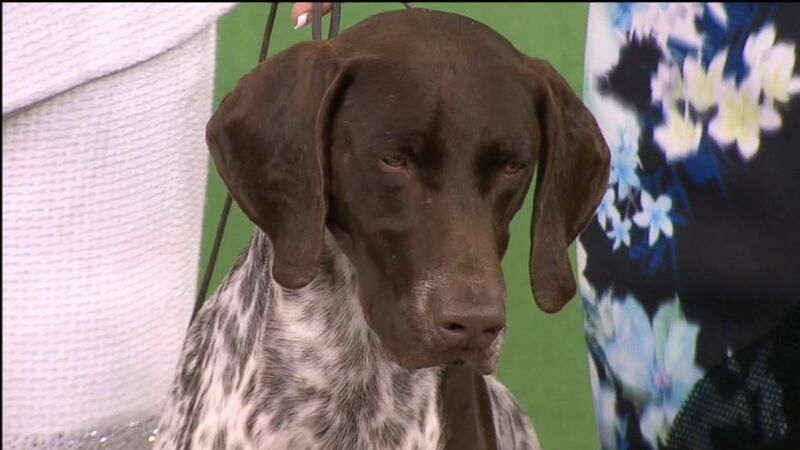 the German shorthaired pointer from the sporting group fetching the coveted title. More than 3,000 dogs from seven groups across the nation were chasing the dream, but only could become best in show. C.J. is the third German shorthaired pointer to become best in show at Westminster, but it wasn’t a walk in the park taking the title of top dog. This year’s fierce competitors proved to be a ruff crowd. Among the seven finalists were Rumor the German shepherd from the hunting group, Bogey the Samoyed from the working group, Lucy the borzoi from the hound group, Charlie the Skye terrier from the terrier group, Panda the shih tzu from the toy group and Annabelle the bulldog from the non-sporting group. He goes by the nickname the Prince at home. His favorite snack: chicken and carrots. And he might be allowed to jump on the bed. C.J.’s grandmother is Carlee, who was the 2005 Westminster best in show. C.J.’s owner and handler, Valerie Nunes-Atkinson, also owned Carlee. C.J. has been showing for only six months and he has already won 18 best in show titles. When C.J. shows, he always bows to stretch himself out. When he starts to move for the movement shot, he usually sneezes. C.J.’s owner says he knows what to do and doesn’t train. Nunes-Atkinson will reinforce things he was taught when he was younger, but she doesn’t necessarily teach him new things. He runs for conditioning many times throughout the day. “He’s a regular house dog. We have a few other house dogs he runs and plays with and he rips around the property with them,” said Nunes-Atkinson. She owns six dogs, all of different breeds, including two rescue dogs. C.J. also loves their cat, Tootsie, who wants nothing to do with him. He licks the cat, grabs and plays with her. He loves fetching balls and carrying anything in his mouth. The dog, C.J., beat out more than 3,000 dogs competing for the coveted title.